Lower Promenade, Saltburn-by-the-Sea, Tees Valley, TS12 1HQ. Opened in 1884, this is the oldest water-balanced cliff lift in Britain. 120ft lift on 207ft track. Babbacombe Downs Road, Babbacombe, Torquay, Devon, TQ1 3LF. 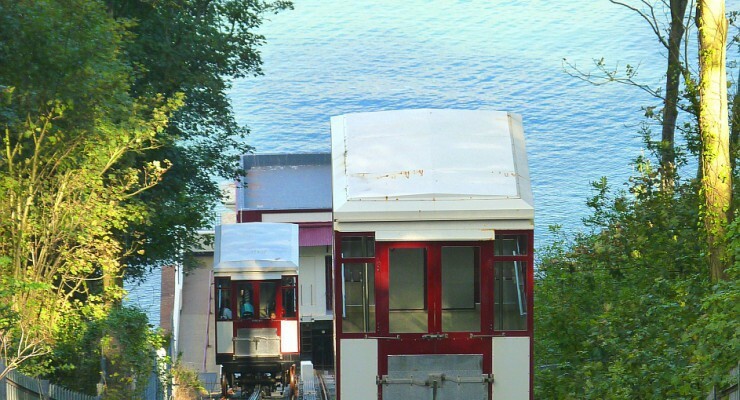 Cliff Railway House, Cliff Terrace, Aberystwyth, Cardiganshire/Ceredigion, SY23 2DN.